To start, what do shoppers want? 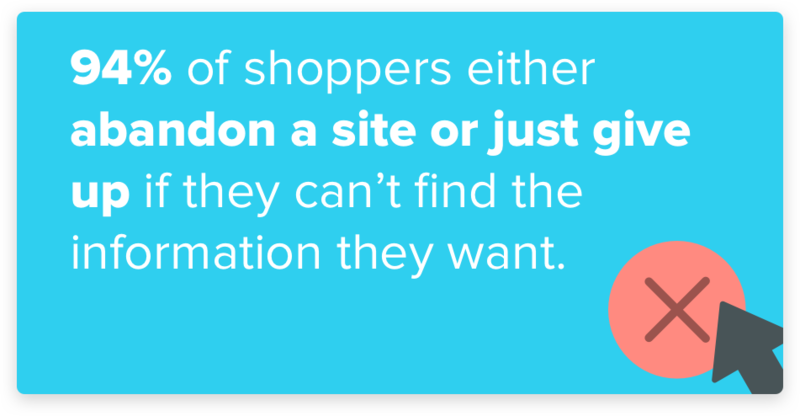 Shoppers want to see product content before they buy. Consumers will keep searching until they find content that gives them the confidence to spend. 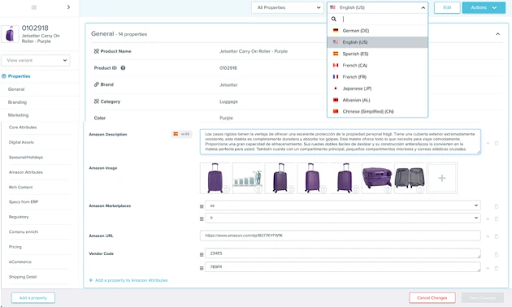 How are brands and retailers meeting this demand? We asked EchoCove Research to help us find out. 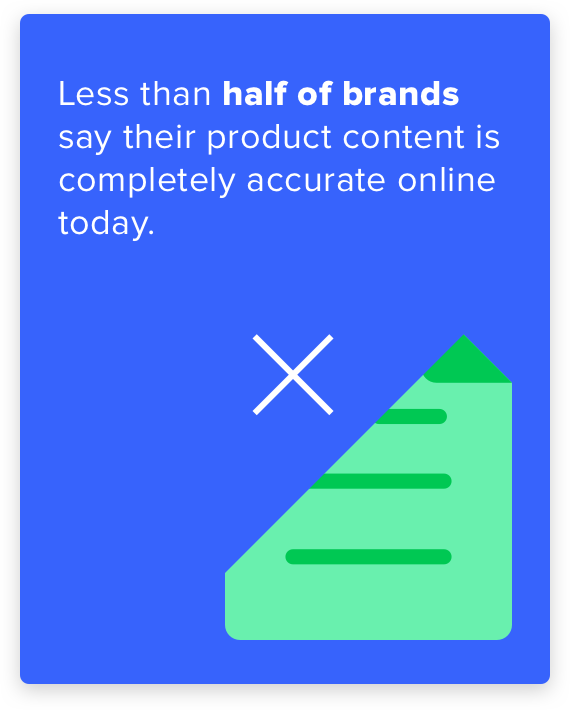 They surveyed ecommerce executives at 250 brands and retailers on the state of product content in their organizations today. The results show a clear divide across the industry. 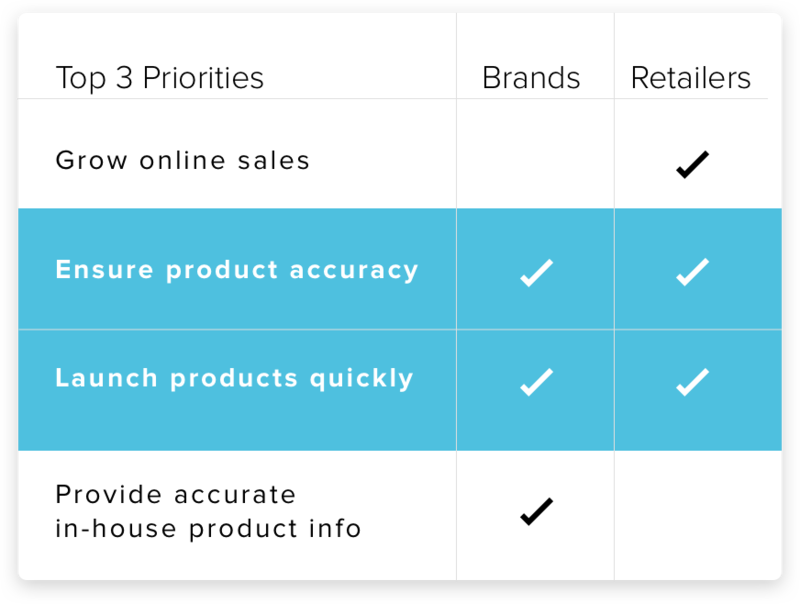 Retailers know they need detailed product content to drive sales. Retailers can't sell more across more channels without help from brands. Without reliable systems in place, brands, retailers, and consumers suffer. 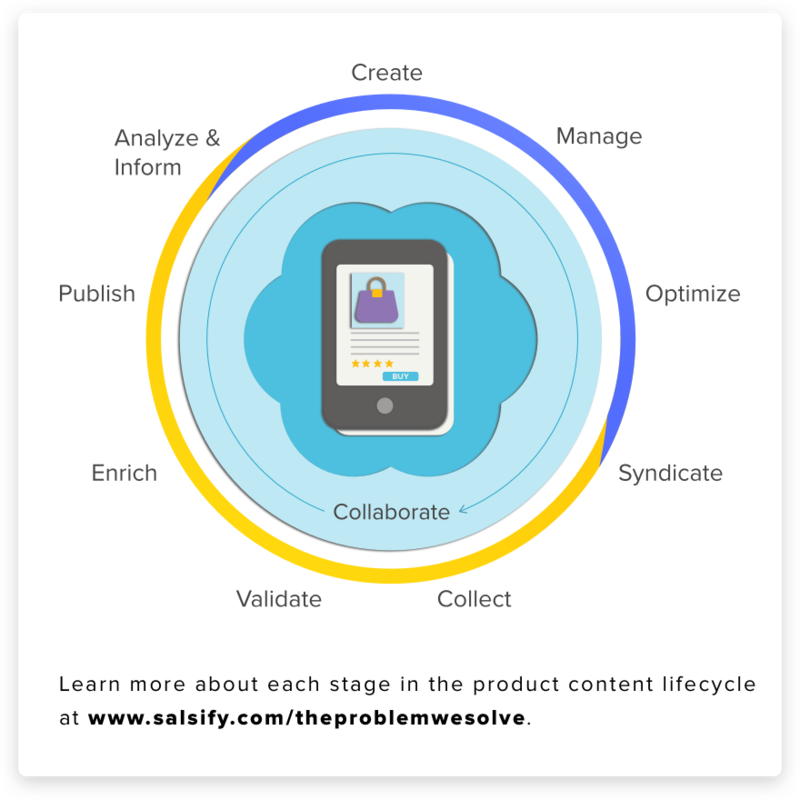 Content accuracy won't improve in silos. 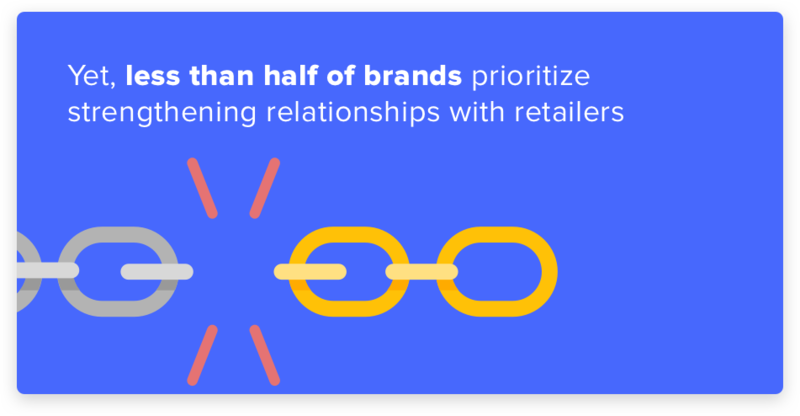 Brands must prioritize stronger retailer relationships. 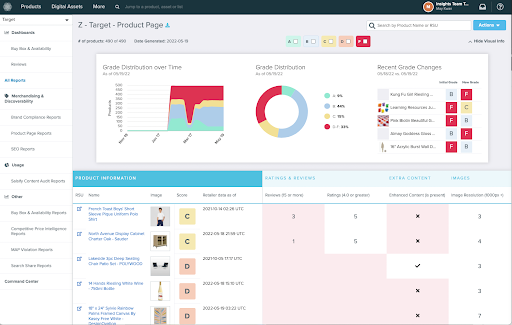 Retailers can use performance data to drive investment in content from brands. Both agree content accuracy and faster time to market will drive results. So you must deliver product content to everywhere consumers shop. To differentiate, you must invest in a solution that supports continuous content creation, collaboration, and optimization. 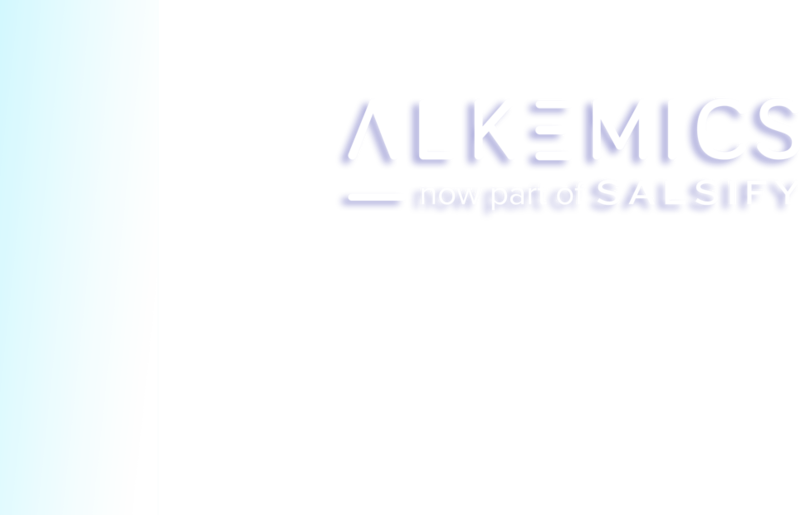 The right process will speed time to market, increase digital assortments and grow your sales.